Himachal Pradesh Tourism Development Corporation has divided the state into four interesting circuits. These circuits pass through different terrains making one feel as if one is trekking through ages at different times. Hotel Castle, Naggar - This place is in Kullu, away from the hustle of the towns. It gives you a feel of a medieval castle. Although it has been modernized, the wood and stone castle still bears the history of 500 years, to a perceptive eye. The location is ideal for doing day trips to adjacent towns in Kullu and Manali. The view from the hotel is picturesque, and the tranquility is ethereal. Except, for the occasional tourists visiting the castle, who tries to take a peek into the guest area, for a photo or selfie. Might be a nuisance if you are looking for absolute privacy. The service is amazing, and the hotel staff are hospitable and accommodating. You must try the local cuisines offered here. The preparations are mouth-watering, if you can handle spicy Indian food. Hotel Geetanjali, Dalhousie - Comfortable & Great Stay at Geetanjali. I along with my family stayed in the hotel from 10 -12th June. During our stay we had a Gala time with full cooperation of the staff, specially the Hotel Manager Mr. Ranjeet Sharma. The room gives us a very good view of Peer Panjal Mountain Range. The food is excellent and the staff is very co-operative. We would love to come and stay in Geetanjali. Hotel T-Bud, Palampur- Me and my wife stayed at HPTDC Hotel T- BUD at Palampur for three days i.e from 19th June to 22nd June,2017 . The staff at reception were very pleasant and helpful. Provided us clean room immediately on arrival. Catering Manager and all the staff in Restaurant of Hotel were very cooperative and serve us food as per our requirement . Room service is good. Our overall experience was excellent and we would like to visit T- Bud again. 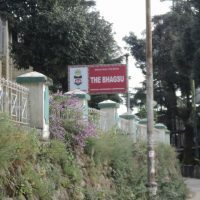 Hotel Dhauladhar, Dharamshala - Recently I stayed in Hotel Dauhladhar in Dharamshala. Very nice hotel and cool guys working there. The experience of stay was well above my expectations. Awesome food. Very helping staff. Will love to visit Dharamshala and stay at Dhauladhar Hotels. Hotel Manimahesh, Dalhousie - I stayed in Hotel Manimahesh for only one day ,i.e., 16.06.17. Extremelly well managed, beautiful, neat and clean rooms, well behaved and devoted staff. Well managed buffet dinner - healthy, tasty and well served food. Palace Hotel Chail - We stayed at Chail Palace hotel in October 2016, tranquile, peaceful and a complete place in itself. we did not venture out of the property for 2 days and had a wonderful family holiday. Look forward to many more such holidays. Hotel Iravati Chamba - Stayed in Irawati (Chamba) in June 2016 and forgot an important pen drive there. Mr Bhupendra not only recovered it and kept it safely but made extra efforts to have that couriered back to me at his personal expense. I really appreciate his gesture and walking that extra mile to help with a visitors problem/ situation. “Excellent holiday destination"- Good place to stay staff is very helpful & friendly. Rooms were neat and clean service was very good. overall i will give 5* rating to this hotel. "value for money"
Stayed in Irawati (Chamba) in June 2016 and forgot an important pen drive there. Mr Bhupendra not only recovered it and kept it safely but made extra efforts to have that couriered back to me at his personal expense. I really appreciate his gesture and walking that extra mile to help with a visitors problem/situation. Palace Hotel, Chail - Awesome Stay at Deluxe Cottages - Good stay at the deluxe cottages,,it was a heavenly experience. Amidst the clouds and mist, our small little cozy hut surrounded with green mountains was no less than luxury. 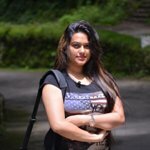 Me and my husband visited Chail last month for 3 days and it was really a memorable experience.